After having my fill of diving with the whale sharks at Oslob, I took a bus around the southern tip of Cebu island, to Moalboal, on the Western coast of Cebu island. 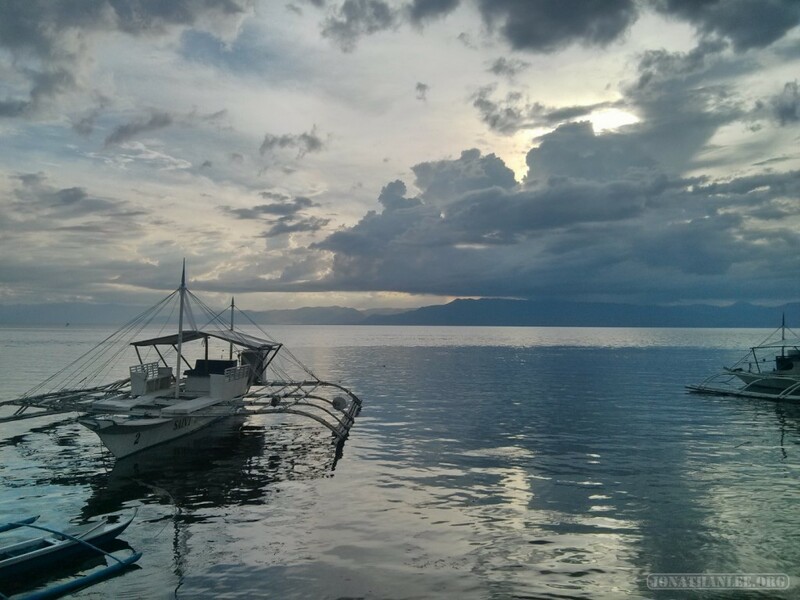 Before coming to the Philippines, I had never even heard of Moalboal. 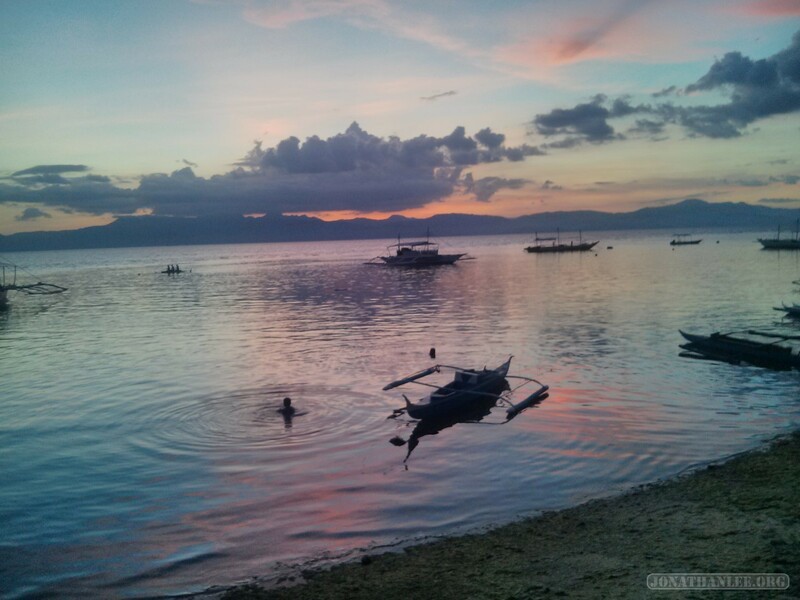 While visiting Tops in Cebu City, I started talking with a random local Filipino while waiting to get dinner, and he mentioned that Moalboal has the best sunsets of Cebu, even better than those of Tops. Doing some research, I found that Moalboal also has some great scuba diving, and so decided to pay it a visit for a day or two. But upon arriving and discovering the tranquility, the Fiesta, the scuba diving, I ended up staying here for an entire week, longer than anywhere else in the Philippines.